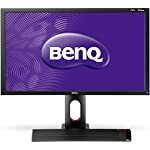 The AOC I2473PWY is a 24″ monitor based on an IPS panel offering up HD resolution graphics. The interesting thing about this model is the 7W speakers they’ve packed into the base. I can’t remember seeing another monitor offering this before so if you like this idea and want something above the typical speakers offered in displays then this is well worth further scrutiny. Other specs are fairly standard, refresh rate is 60hz and there is no adaptive sync, which might put off some gamers attracted to this model by the speaker setup. The AOC I2473PWY is unique as far as I am aware with it’s speakers built into the base of the display. On the down side the makes the stand rather bulky and not the most elegant on the market but AOC win back some points by building the power and display sockets into the base. This all means that the screen itself is very slim. The stand has limited mobility, presumably because of the connections down to the base, you can only tilt this back and forward. You won’t be considering one of these if your preference is to mount your monitor on a 3rd party arm. Connectivity is a little lacking with only VGA and HDMI inputs to chose from. This is OK if you just want to hook it up to a PC but if you want multiple devices connected and additional HDMI port would have been appreciated. A further feature of interest is the inclusion of Miracast which allows you to mirror your compatible phone or tablet’s display onto the I2473PWY over WiFi. Professional testers of the monitor report back decent colour coverage, strong blacks, bright whites and vibrant solid colours. 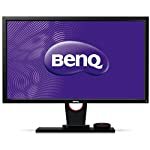 Otherwise this is a fairly standard monitor that doesn’t feature game specific functionality such as fast refresh rates or adaptive sync. It’s a good all rounder that will appeal to anyone interested in the overall design and emphasis on relatively good sound quality. 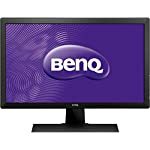 We give the AOC I2473PWY a 2.5 out of 5 rating. Want to know what existing owners of the monitor think? You can read real user reviews here. 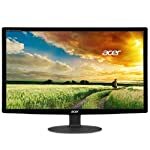 Should I buy the AOC I2473PWY? A somewhat unique offering from AOC provides loud, clear sound from speakers built into the base. If you don't have an external sound setup and want to use monitor speakers then this offers something other displays don't. If you are having some doubts about this purchase then why not read some real owner reviews and see what other buyers think.